David M. Rein is Managing General Partner of Rein Capital, LLC and is founder and former Chairman & CEO of Rein & Co., a management consulting firm specializing in business development and executive recruitment, serving the high-technology venture capital community. Mr. Rein has been instrumental in the early capitalization of high technology ventures and the facilitation and development of strategic alliances, mergers and acquisitions, joint ventures, and leveraged and management buyouts. Mr. Rein was an early investor in Avici, Zamba, Microtune, Unisite, Amdocs, Dagaz, Sybase, Intuit, Ungerman Bass, Worldgate Communications, CheckFree, Compaq, Attachmate, Delphi, Josten’s Learning, Allegiance Telecommunications, and many other high technology ventures and was a founder of Dama Telecommunications. Mr. Rein currently sits on the Board of Directors of Cumulate and Registri, and former Board memberships include Sheer Networks, PICA, In-Systems Design and ConceptWave. Mr. Rein has been an advisor to, and limited partner in, Welsh, Carson, Anderson & Stowe since 1994. Mr. 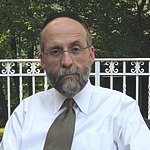 Rein holds an MS in Talmudic Law from Beth Medrash Govoha. David M. Waizer is Senior Managing Director of Rein Capital, LLC. Mr. Waizer is acting CEO of one of Rein Capital’s portfolio companies and was an observer on the ConceptWave Board. Prior to joining Rein Capital in 2008, Mr. Waizer was Executive Vice President of Corporate Development and General Counsel at one of the country’s largest and fastest growing online privately-held, venture-backed companies. Mr. Waizer also spent several years in the International and Commercial Law Department at Avaya Inc. where he served on the leadership teams of several Avaya business units and led negotiations with many of its top-tier Fortune 500 customers. Mr. Waizer holds a B.S. 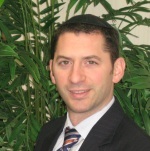 degree in Finance from Yeshiva University and a J.D. from the University of Pennsylvania Law School. Mr. Donofrio, is a senior fellow at the Ewing Marion Kauffman Foundation, and is also a 44-year IBM veteran and serves as an IBM Fellow Emeritus, the company’s highest technical honor. From 1997 until his retirement in October 2008, he served as executive vice president of Innovation and Technology. In addition to his most recent role, he served in a variety of capacities, including vice chairman of the IBM International Foundation and chairman of the Board of Governors for the IBM Academy of Technology. Mr. Donofrio holds seven technology patents, is a member of numerous technical and science honor societies, and is on the board of several companies and organizations. He currently is co-chair of the New York Hall of Science and serves on the Secretary of Energy’s Advisory Board (SEAB). Mr. Donofrio earned a B.S. in electrical engineering from Rensselaer Polytechnic Institute in 1967 and a M.S. in electrical engineering from Syracuse University in 1971. He holds numerous honorary doctorate degrees from universities in the United States, England, and Scotland. Mr. McInerney is the Chief Executive Officer and co-founder of Bluff Point Associates. Before founding Bluff Point Associates, Mr. McInerney served as a General Partner of the New York City-based private equity firm Welsh, Carson, Anderson & Stowe since 1987, focusing on investments in the information/business services industry. He currently serves on two publicly-traded companies’ boards and a number of private company and non-profit boards. Previously, Mr. McInerney co-founded and served as President and CEO of Dama Telecommunications Corp., a communications services company. Earlier he was Group Vice President-Financial Services at ADP and Senior Vice President-Operations at the American Stock Exchange. Mr. McInerney graduated from St. John’s University and attended New York University Graduate School of Business Administration. He is a member and past Chairman of the Board of Trustees of St. John’s University. Mr. Topfer is a Managing Director of Castletop Capital. Previously, he served at Dell in both the role of Vice Chairman and as Counselor to Dell’s Chief Executive Officer, advising in matters of critical importance to the company. Prior to his service at Dell from 1994 to 2002, Mr. Topfer served 23 years at Motorola, Inc. where he held several executive positions that spanned the full range of Motorola’s global business. Before that, he spent 11 years at RCA laboratories in various research and development, and management positions, during which time he wrote a book on thick-film electronics. He began his professional career as a research engineer with Kollsman Instruments Corporation in New York. Mr. Topfer was conferred the Darjah Johan Negeri Penang State Award in July 1996 by the Governor of Penang for contributions to the development of the electronics industry in Malaysia. He currently serves as a Director and Chairman of Measurement Specialties, Inc. (MEAS) and also serves as a board member of several private companies including OpenPeak Inc. and Texas Heart Institute.